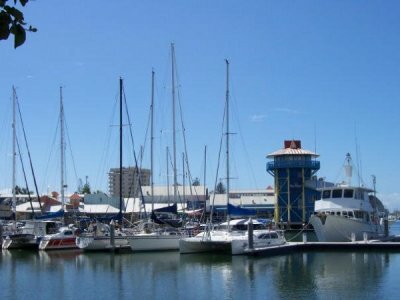 28 M berth for sale Mooloolaba Marina. It`s is extremely rare for berths this size to become available for purchase on the Sunshine Coast. The end of a T arm so access is simple for hard to manoeuvre vessels. The marina office is open seven days a week and provides mail, fax and photocopying facilities. 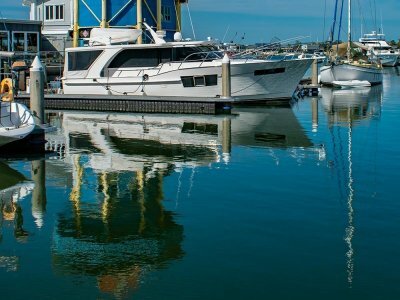 The marina is located in a safe, protected harbour, open all weather and all tides. Latitude 26.41'S and Longitude 153.07'E A comprehensive range of marine services are available within a short distance. These include boatyard facilities, chandleries, fuel, marine mechanics, shipwrights, riggers, sailmakers. Sels, only 100m from Beautiful Mooloolaba Beach and handy to all facilities. Call now for details. Be quick!. All berths have water, power and security lighting. Marina Amenities: Clean toilets and showers, washers and dryers. BBQ. The marina office is open seven days a week and provides mail, fax and photocopying facilities. Boatyard facilities, Chandleries, Fuel, Marine Mechanics, Shipwrights, Riggers, Sail Makers.